It all started with an idea and a passion to take the fight to cancer. Alex Scott was just one when she was diagnosed with neuroblastoma. After defying so many odds, at 4 years old, she wanted to help other kids with cancer so she set up a lemonade stand. Her parents didn’t expect it to raise much money, but after her first year Alex raised over $2,000. By the time she was 8 years old, hundreds of lemonade stands had been set up in her honor raising more than $200,000. 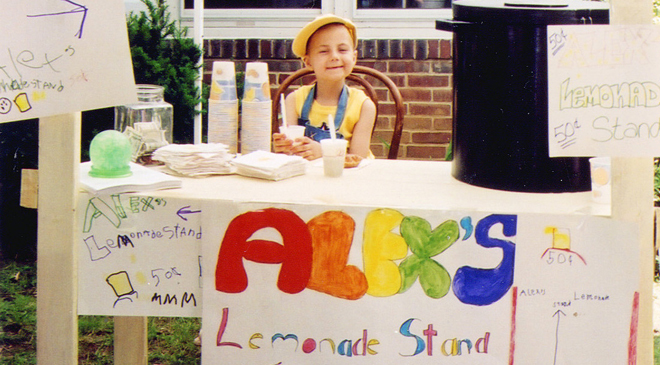 Alex lost her battle in 2004, but Alex’s Lemonade Stand Foundation has raised hundreds of millions of dollars funding cancer research and family support. Tap Cancer Out’s story isn’t all that different. We started with a simple idea founded in the sport we love: hosting a charitable Brazilian Jiu-Jitsu tournament to fund cancer research. We hoped to raise a few thousand dollars at best. Six years later we’ve hosted 17 tournaments and raised more than $800,000 in support of so many great beneficiary organizations. This autumn we spoke with a number of incredible organizations supporting those fighting cancer and funding cancer research in our search to find a beneficiary for 2018 and 2019. We had a tough task choosing just one, but there was something about Alex’s Lemonade Stand that felt familiar, encouraging, and inspiring. Earlier this month I had the pleasure of giving Alex’s Lemonade Stand Foundation co-founder (and Alex’s mom) Liz Scott the good news. We have some amazing things in store for 2018 and 2019—years which will yield massive growth for Tap Cancer Out. The funds we raise will directly fund ALSF’s Young Investigator Research Projects as well as family services and support, helping families travel to find the best care possible as well as supporting siblings as their family goes through such a trying time. These innovative grant and support programs are designed to fill critical gaps in the childhood cancer landscape. We can’t wait to hit the ground running with Alex’s Lemonade Stand, and our next tournament—the 2018 San Diego Charity BJJ Open—will be our first in support of ALSF.